Engraving by blasting of surfaces as well as various requirements depending on customers’ necessities like for example “mild blasting” – extremely fine external blasting for cleaning of the monuments, constructions, graffiti, etc. 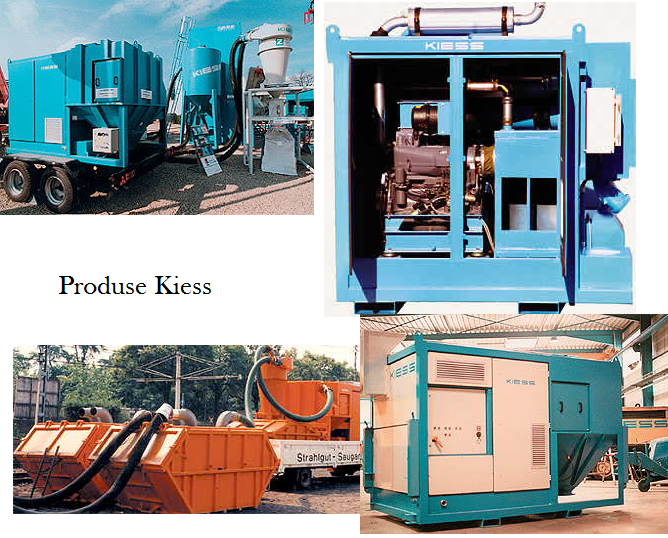 Equipments may be designed for free jet working or closed circuit with pressure systems ( compressed air), respectively with vacuum ( injector ) or with blast-wheel systems , without dust production providing blasting material recycling , with 100% environment protection . 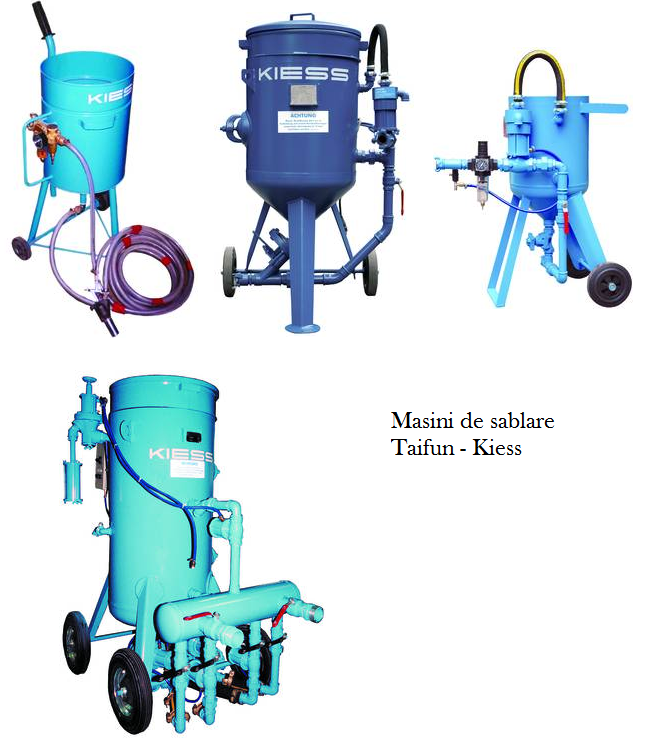 painting + metallization) in multi-use rooms or included in technological lines designed to reach a certain final surface status, (those could be half-automatic , automatic or with robots) which are optimum in the balance price-quality-performance and perfectly adapted to specific requirements of the Romanian Market (i.e. 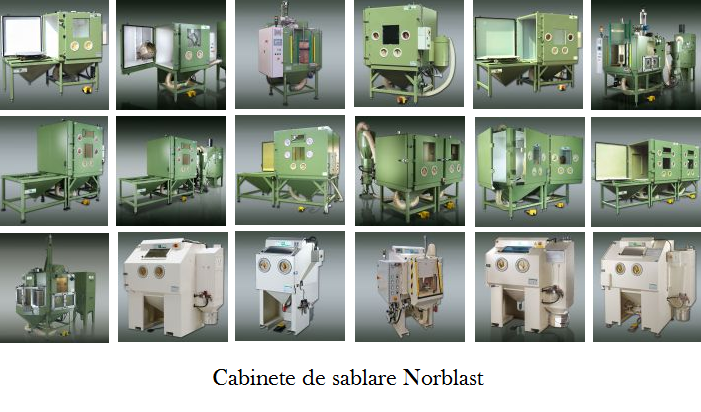 they allow the integration of non-critical subassemblies performed in Romania). 3. 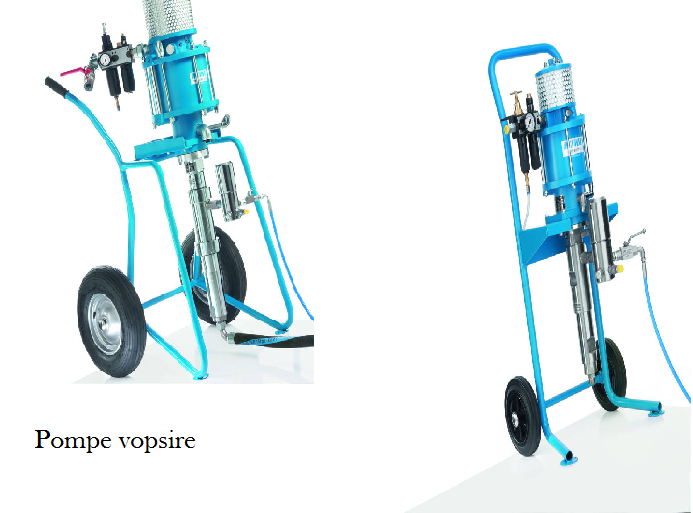 Painting equipment and solutions able to provide anticorrosion protection , painting and coating of different surfaces by immersion or classic spraying, airless as well as in electrostatic field. The equipment could be applicative (fixed or mobile ) or designed for solutions (manual or automatic painting lines , etc.). 4. Metallization equipment which can provide metallization of surfaces with electric arc or with plasma , in fixed or mobile versions for a various range of applications like for example in automobile industry, turbines and gas bottles, boilers for electric plants, etc. equipped with all accessories . 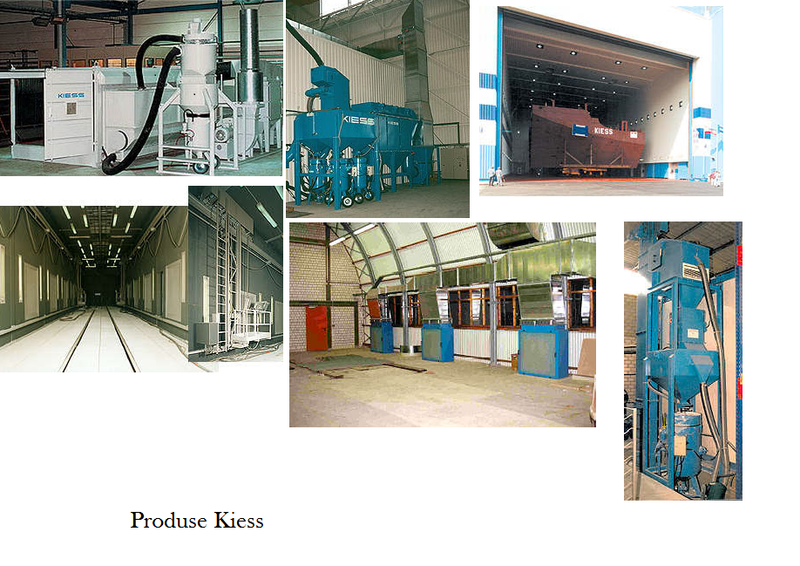 order to provide fulfilling of the environment conditions for spaces, production halls for all kinds of harmful gases or polluting agents (blasting dust, paint fog, dust produced during grinding operations, carbon black in preparation workshops for rubber receipts dedicated to a subsequent vulcanizing process, burnt gases from furnaces and steel plants, gases produced during welding works, etc.). 7. Ultrasonic washing machines working with ecological solvents (Cleaning, degreasing, drying equipment and solutions). removing flammable liquids, extracting aluminum dust, dust extractors, etc. 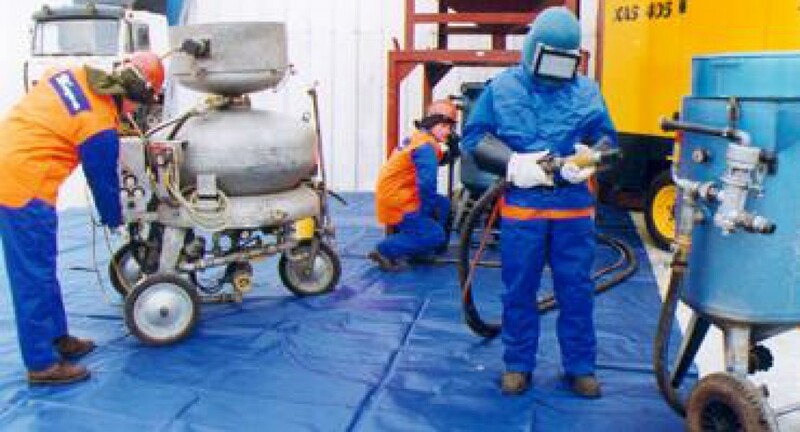 painting in order to update their specific quality and efficiency parameters according to the actual technique level . There are applied to the western companies technologies in cooperation with prestige Romanian manufacturers for non-critical components. 10. Abrasive materials (medium, high carbon steel shots, cast iron abrasive , stainless steel shot, including sablacier , corundum , glass beads , plastic granulates , etc. from the famous high quality and standards manufacturers POMETON and STEAG). STEAG manufactures corundum, glass beads, plastic granulates, etc. POMETON manufactures a very wide range of ferrous and non-ferrous powders and granules for many different industrial applications, as well as, cast steel shot and grit for surface treatment products: high carbon steel shot and grit (according standard SAE J444 – SAE J824 – SAE J1993), mediumcarbon steel shot, stainless steel shot (Cr/Ni and Cr), aluminum granules,zinc shot, brass shot. On customer requirement, out of standard, other sizes and hardness are available for special application. parts made with stainless steel, aluminum or aluminum alloys, zinc or brass to be cleaned with stainless steel shot (either Cr/Ni or Cr), or aluminum granules or zinc shot or brass shot.